When I first started blogging, I found that a lot of the ladies and gents I followed seemed to be buying new things all the time. They would post a haul here, a shopping vlog there, an outfit of the day featuring new shoes or a new bag, or there would be snapchats about a plethora of parcels which had just arrived. It all seemed a little overwhelming, and it still does. When inspiration runs a little dry it’s easy to think that buying and blogging about something new will fill the content void that’s been staring you in the face, but it’s a habit which just isn’t financially viable for most of us. I should say, however, that it’s no one’s business how you spend your money. It’s all about personal choice (and I do love a good shopping haul). And so, I made my own choice- I have decided to start a little feature called My Favourite Things. I plan to write about things which I love or use on a daily basis, be it shoes, an album, or a perfume, which is exactly where I’m starting! I first discovered this scent when I went in for a complimentary session at Jo Malone in Guildford in order to be introduced to the new Mimosa and Cardamom range. With the guidance of the lovely shop assistant, I tried layering various colognes, but found that English Pear and Freesia was the one which spoke to me the most. It’s a little bit sweet, light and feminine, and it’s one of those scents which is fresh enough for the summer, but just rich enough for winter, too. I love as well that you can really smell the pear in this, which is actually a lot lovelier than I thought it might be. For me, there’s also something in the name English Pear and Freesia which appeals to me. I think it’s to do with it being ‘English Pear’, from a British brand, worn by a wannabe English Rose (that would be me). 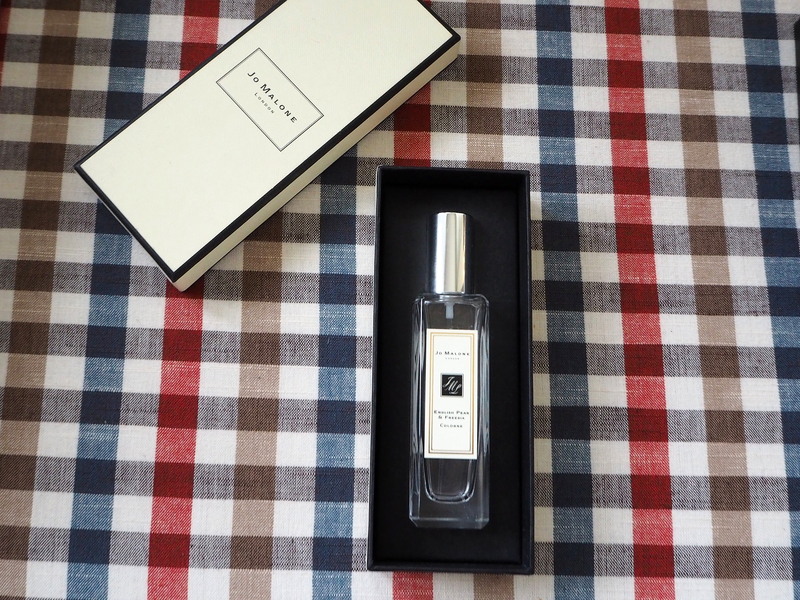 Being Jo Malone, it is, of course, not cheap. This is the smaller 30ml bottle, which comes in at £42. The 100ml bottle is £85, so you do get a much better deal with the bigger bottle. However, I wasn’t in a position financially to splash out on the larger one! You can follow this link to this cologne on Jo Malone’s official website. There’s one more thing- as I mentioned above, fragrance ‘layering’ is also encouraged, which allows you to personalise your scent even further. For me, the fragrance which I layered with this one was the Vanilla and Anise cologne. 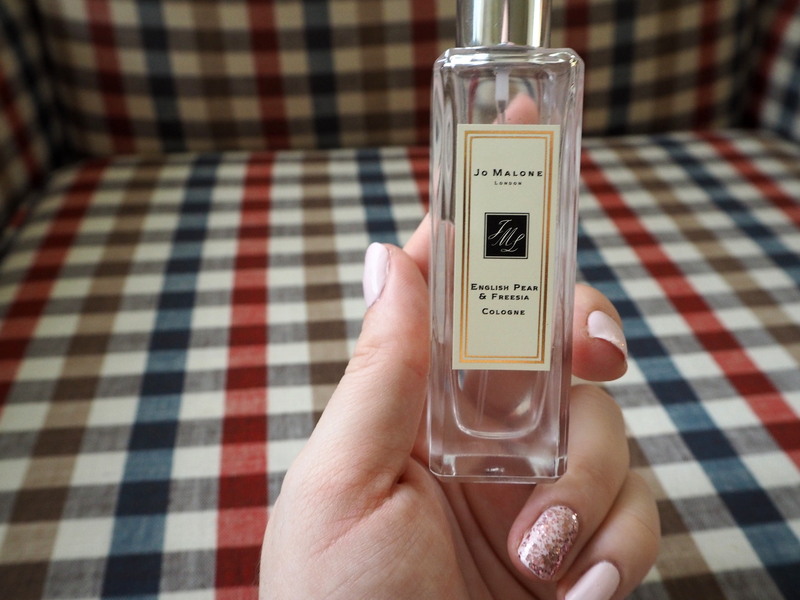 What’s your signature Jo Malone scent? p.s. you have a very nice blog!